Continuing to serve the needs of Western Washington since 2010. This stainless steel rail system was designed, engineered, fabricated and installed by Puget Sound Welding. Picture courtesy of residential new construction home owner in Kirkland, WA. Puget Sound Welding was founded in 2010 under the parent company of Integral Fabrications, LLC. With the ability to make quick turnarounds on extremely tight tolerance and complex manufacturing, it was decided that we had all the right tools to be successful in this field. Within a year we found our services were not only needed in the fabrication industry, but also on the job site as well. In 2011, we decided to implement strict protocol that would lead us to becoming a strong presence as a steel erector and licensed contractor. By expanding our capabilities and maintaining a flawless record with the fabrication facet of our company, we have found the perfect way to ensure our clients get exactly what they want. We gladly accept the opportunity to prove ourselves to you. Whether this is your first time contacting us, or if we have completed many successful projects with you in the past, we welcome any and all potential projects. In 2010, the United States economy was in a very bad place. There were many who said starting a company during one of the worst recessions this country had seen was not only a bad idea, but could never succeed. At Puget Sound Welding, we strongly feel that we have proven that to be false. With strong, relentless leadership, and the dedication of all of it's irreplaceable employees, we will continue providing the best service any company can. As a small business, it is crucial to maintain a positive presence in our community. Being an active member of the Chamber allows us to keep in close contact with like-minded businesses that contribute to making our region a better place. The Washington Association of Building Officials helps govern and create safety and construction standards in the workplace. Our welders are all WABO certified ensuring the highest quality of welding. AISC sets the standard for metal fabrication. By following the guidelines set in place by the strictest tolerances and highest industry standards, we can make certain that all of the material we fabricate and erect are built to last. 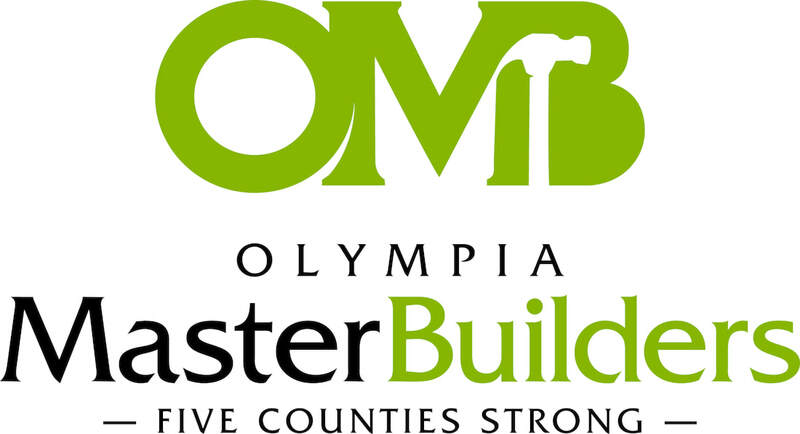 As a member of Olympia Master Builders, we are able to build and maintain firm relationships within the industry.